The winter cold and rain keeps us indoors where we might be tempted to stare at a screen and binge-watch TV for entertainment, but traditional board games offer us a more social way to pass the time. Games allow us to compete, cooperate, and create together. They encourage our imaginations and flex our brains. We picked seven of our favorite games, including a few brand-new creations and several award-winners, for your consideration this holiday season. Their themes range from parliamentary political intrigues to stuffed animal adventures to viral catastrophes. All are amusing. Find these games at one of the East Bay's many excellent game stores, including Dr. Comics & Mr. Games, Endgame, and It's Your Move Games in Oakland; Games of Berkeley, Eudemonia, and Victory Point Cafe in Berkeley; D20 Games in Alameda; and the Comic Shop in San Leandro. 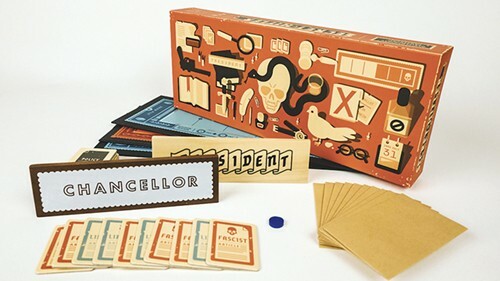 By far the most appropriate game in today's political climate, Secret Hitler pits fascists against liberals in a life and death struggle for state power. Similar to Mafia and One Night Ultimate Werewolf, this is a deduction game where players have distinct roles; you are either a liberal or a fascist, and one player is the Secret Hitler. Liberals must enact five policies to stave off fascism. Or, they can kill the Secret Hitler to win. The fascists are trying to pass six far-right policies to win. But if they pass three and manage to elect Hitler as the chancellor, they also win. The key is that nobody knows who's a fascist, or who the Secret Hitler really is. This is a great party game full of lies, deceit, and accusations. A full game runs about 45 minutes and is best played with five to 10 people. As a child, I always imagined my toys might come to life. But what would they do? This game allows its players to enter that world of animated wonder. Each player is a stuffed animal trying to defend your owner from evil toys and monsters who lurk in the bedroom while she sleeps. Along the way, you gather weapons like pencils, jacks, and rubber bands. This is a great game to play with your friends but could arguably be the perfect game if you have children who are at least 7 years old. If you want your child to take that next step from Candy Land, this might be your game. Gameplay can take approximately 90 minutes to play for two to four people. This game first launched as a Kickstarter in January. Since then, Everdell has captivated the gaming community with its art and illustrations. With cards and a board that look like they belong in an art gallery, Everdell is a strategy game during which you build your forest town by collecting resources, recruiting workers, and constructing buildings. The game starts off very basic and you'll likely question the complexity of the game, but as the seasons change, so does the game. Cards begin to chain with other cards, characters develop synergy with others, and before you know it, your town is filled with ferret monks in monasteries, postal pigeons with post offices, and raven teachers in schools. This is a one-to-four player game that can take 45 to 80 minutes to finish. The complexity of it makes it fit for players who are ages 13 and up. 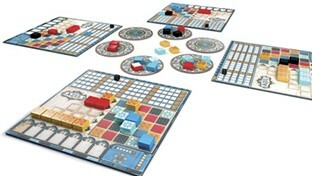 Winner of the 2018 Spiel Des Jahres Game of the Year Award — Germany's coveted prize for innovation and creativity in games — Azul is a two-to-four player competition where you're racing to decorate a Moorish palace with brilliantly patterned mosaic tiles. It's literally a game of beauty. The pieces are intricately crafted and a joy to work with. You obtain the colorful tiles from a supplier and have to complete specific patterns before your opponents. The rules are fairly easy to learn at first but become more complex as the game progresses. At approximately 30 minutes per game, the playtime runs fast. Azul is super easy to learn and can be a source of joy for anyone ages 8 and up. Do you like trees? How about planting them and watching them become towering giants? 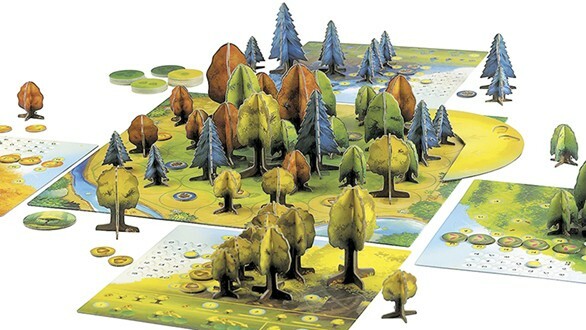 Photosynthesis is an abstract strategy game by Blue Orange Games, a designer based in San Francisco known for Kingdomino, the dominos-like contest that's excellent for kids. In Photosynthesis, you're tasked with planting trees in a barren field, but you have to vie for the best spots to put down roots. Other arborists are competing with you for the most fertile soil and light. Be careful where you plant, as the sun rotates around the board and trees planted by opposing gardeners can block your sun, plunging your conifers and broadleaves into dark shadows that will slow their growth. 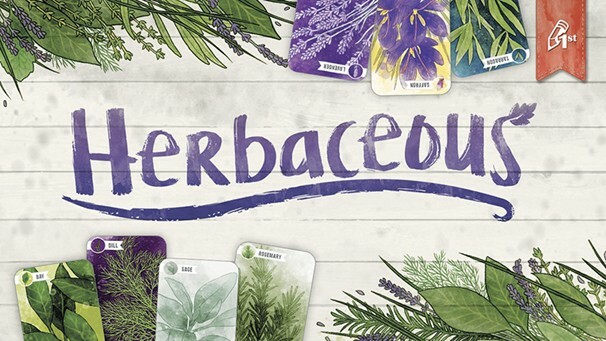 This botanically inspired game is played with two to four people and takes about 45 minutes to an hour to finish. The rules are somewhat complex, but anyone ages 10 and up can learn. 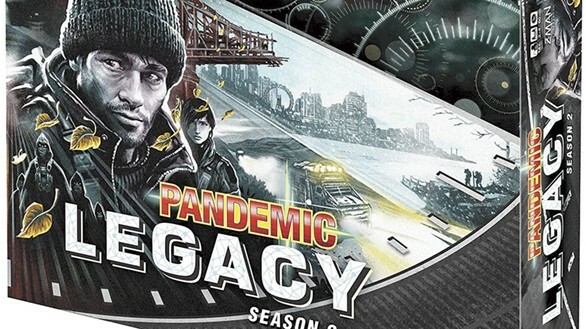 The sequel to the wildly popular Pandemic Legacy: Season 1 board game, this second iteration doesn't require prior knowledge to enjoy, but the plot revolves around survivors of the earlier global plague who traverse the planet attempting to rebuild civilization. PL:S2 is definitely the most complicated and time-consuming game on this list, so be prepared to focus. A dedicated group of two to four players is necessary to re-establish society for one year (one hour of gameplay per month for 12-24 months). PL:S2 is a cooperative game. Players have to come together to help save the world, and it's the game itself that frustratingly pushes back and thwarts progress. As cities grow and the economy becomes more complex, new viral outbreaks can erupt, players might die, cities will fall into abandoned ruins, and other mysteries will be revealed. The game incorporates permanent changes as it constantly evolves. Can you stabilize this dystopian world? Idiots, vultures, and motorcycle clubs were among the decade's best music to emerge from the area.